Superb model and paint, museum quality. D inky supertoys blaw knox. Front shovel has NO! To the east London river crossing. (Not sure of the origin of this). Cat 906H Compact Wheel Loader by Norscot 1/50th Scale ! 1/25 Gehl Skid Loader Model 4610. This is a great condition die-cast model. New 1/50 scale hard to find ih td-25 tractor. Normal shelf wear. PayPal only. Buyer pays actual shipping I do combine shipping so please check out my other auctions thanks!! Bruder #02437 CATERPILLAR Motor Grader! -New-Factory Sealed #2437. Bruder Caterpillar Motor Grader! so we can combine your order for you! Stihl toy chainsaw with real chainsaw sounds. Includes manual, extra chain, wrench, and stihl bag. The Euclid S-7 Scraper, features Authentic Euclid replica decals applied. Entire model sealed with gloss clear coat throughout. Model: 3630 Spra-Coupe. Manufacturer: Clover. Model Type: Diecast. Scale: 1:32. LIEBHERR LTM1060/2 / LTM1070-4.1. YC865-1 LIEBHERR Yellow. Material: Brass & Painted Brass. Cat D8 Crawler Scrpaer with Push Blade. Mfg by:ATM / EMD Serial: N58. Material: Diecast Scale: 1/50. WINNER WILL RECEIVE ITEM(S) PICTURED. 14 years of age. New Bruder SCANIA R-series Liebherr crane truck w/ Light & Sound Module #03570. The impressive Liebherr crane truck literally towers above the BRUDER range of utility vehicles. Given the size, it must naturally also be stable. This is a Tonkin 410101 1:87 Mammoet - Liebherr LTM 1250-5.1 Mobile Crane. Mammoet - Liebherr LTM 1250-5.1 Mobile Crane Manufacturer: Tonkin. Model Number: 410101. Category 1: 1:87 Scale. Category 2: Construction. Availability: Ships in 3 to 5 Business Days. TOY IS IN MINT CONDITION IN ORIGINAL BOX. BOX HAS SLIGHT SHELF WEAR. 1/64TH SCALE. Fits well with other 1/50 or O scale trailers, excellent paint with woodgrain deck. Important Note: Exact poses may vary from those shown. Plastic (see thru) bases ARE included. and Construction crews for BRING YOUR DIECAST MODELS and COLLECTIONS TO LIFE! Ocean Traders. Potain MDT178 Tower Crane Climbing Cage - "Yellow" Version. Made By : TWH Collectibles. Climbing Cage Only. Limited Edition, Only. Load block adaptor. Hydraulic cylinders. Accurate connection points. CATERPILLAR C175-20 DIESEL GENERATOR IN AN EDITION OF ONLY 175. Freightliner Century Truck Tractor - "White". Functions & Features of Freightliner Century Tractor Made By : Sword Precision Scale Models. Highly detailed lights located throughout tractor. Engine Detail. No outer shrink wrap but all contents inside the box are still factory sealed. Light wear to box. No musty or smoky odors. & has never been on display. SEM919 Motor Grader. SEM822 Bulldozer. Mfg by:SG Scale - Caterpillar (Quigzhou) ltd. Material: Diecast Scale: 1:35. Condition: New. Drill tilts up and down and extends horizontally and vertical bores raise and lower. Bruder 02525 1/16 Jeep Rubicon, nib, color red. Perfect for the little or the big jeep fan in your life. These are also perfect for RC project's using the WPL chassis and axles. The listing is for one Bruder Jeep. 1:50 NZG No.165 FUCHS Wheeled Excavator Bagger West Germany Mint Box Red White ! 1:50 NZG No.165 FUCHS Wheeled Excavator Bagger West Germany Mint Box Red White ! This is the red, white and blue model, made in West Germany. Condition is New. Box is worn, please see photos. Check out my other models! Limited availability and I have other sizes listed as well. A little about myself and my models: I am a 3rd generation collector of many construction models from all over the world. My grandfather, father, and myself have collected for many years. 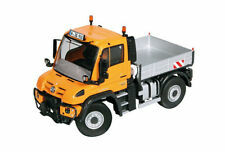 Excelent for WSI, Corgi, Tekno, Conrad low loader trailers. Custom made wooden crate load for 1/50 trucks. Terex TS-14B Push/Pull Scraper. Mfg by: Conrad Serial #411. Material: Diecast Scale: 1:43. Condition: USED / Original box included. Greenligh Model Number: 12956. Diecast Scale 1:18. If you inquire, we will gladly assist you. Limited to six models per box. Limited to 48 models per box. If not, we sure hope you gives us chance to prove ourselves to you.